LED Exit Sign Replacement Lamp, 120V 1.5W. Replaces standard 120 volt T6.5 15 Watt or 20 Watt exit sign lamps. Available in candelabra screw (CS) base, dual-contact bayonet (DC) base, and intermediate screw base. Price shown is for a single bulb. Double your savings by replacing both bulbs in a typical fixture. LED Exit Sign Replacement Lamp, 120V 1.5W. Replaces standard 120 volt 15 and 20 watt T6.5 exit sign lamps. 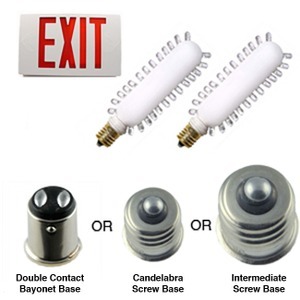 Available in candleabra screw (CS) base, dual-contact bayonet (DC) base, and intermediate screw base. 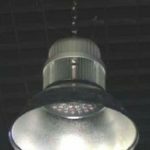 These LED replacement lamps have an expected life of over 200,000 hours while using 1/10 the power of standard incandescent exit lamps, reducing your energy consumption and relamping costs while providing increased safety at your facility. 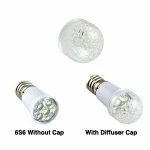 These lamps can be used in existing fixtures that operate on 120VAC. 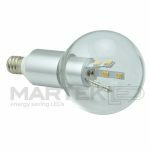 We also stock other LED lamps for exit sign applications, Call if you need another type of exit sign LED lamp. Price shown is for a single lamp, most exit signs require 2 lamps. Facility managers, call us for quantity discounts. 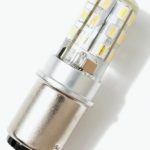 * Energy savings of $24.27/year for each upgraded bulb, based on 24 hr/day of use at $0.15/KWH. Your savings will vary based on usage and local electric rates.